· 2 years’ experience in UAE. 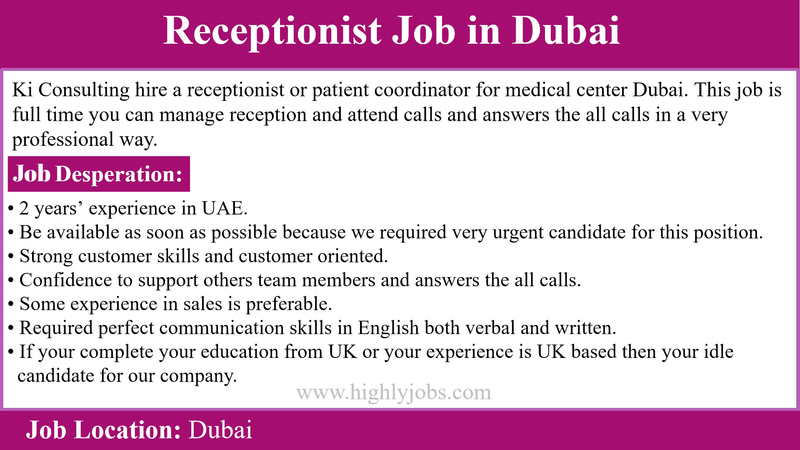 · Be available as soon as possible because we required very urgent candidate for this position. · Strong customer skills and customer oriented. · Confidence to support others team members and answers the all calls. · Some experience in sales is preferable. · Required perfect communication skills in English both verbal and written. · If your complete your education from UK or your experience is UK based then your idle candidate for our company.